Sadame Mohammed Yimer is a PhD student at the Pan African University in Algeria. His doctoral programme is part of the Water and Energy Security for Africa (WESA) project, which aims to develop innovative scientific methods that are adapted to the local and regional context in the water and energy sector. UNU is a leading partner in this project through the Pan African Cooperation and Educational Technologies (PACET) programme hosted at UNU-ViE. The PhD students are supervised by one project partner in Germany and one partner in Algeria. Yimer just completed a three-month research stay at the Center for Development Research (ZEF) at the University of Bonn, during which he worked closely with senior scientists. 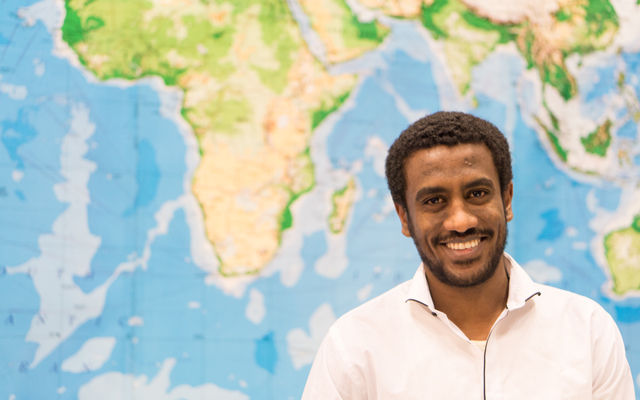 Originally from Ethiopia, he became interested in water resource management early on. After graduating with a Bachelor in soil and water resource management from Wollo University in Ethiopia, Yimer applied to the Pan African University in Algeria, which is open to students from all African countries. At the Pan African University, Yimer thrived on working together with students from all over Africa and from different backgrounds, and moved straight onto a PhD programme after completing his Master’s. 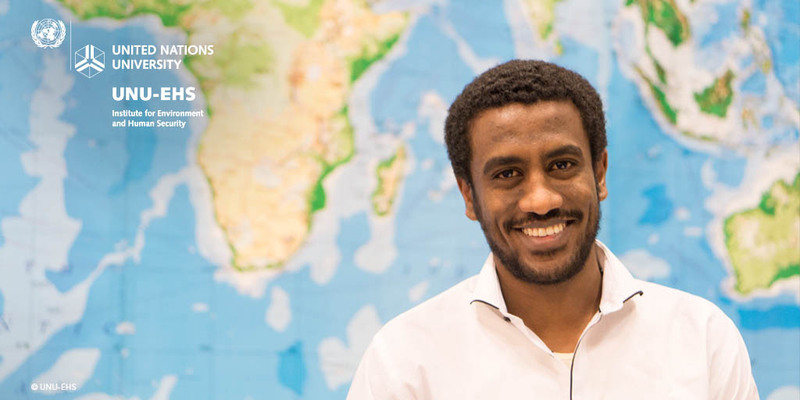 His strong interest in water management stayed with him and his PhD is now focused on land use, climate and water nexus with a special focus on Ethiopia. The WESA project is conducted by a consortium of partners from both Europe (Germany) and Africa (Algeria). The German consortium partners include United Nations University (UNU), the Institute for Technology and Resources Management in the Tropics and Subtropics (ITT) at the Cologne University of Applied Sciences, and the Center for Development Research (ZEF) at the University of Bonn. The Algerian partners are the Pan African University Institute for Water and Energy Sciences in Algeria and the University of Abou Bekr Belkaid in Tlemcen (UoT), Algeria. Aside from co-supervising PhDs students, UNU is responsible for the overall project management and administration, coordination of activities related to outreach, dissemination of results and support in the establishment of a Pan African research network and beyond. UNU will also help to connect the PhD students to UN and international institutions and actors.